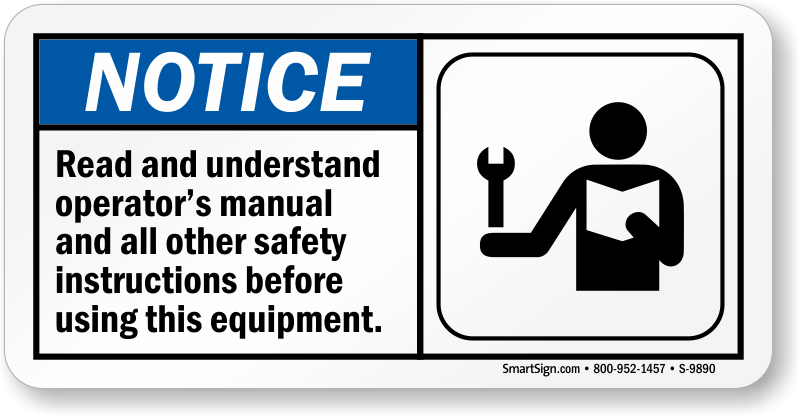 • Our OSHA and ANSI compliant labels and signs are available in a variety of materials for you to choose from. Our plastic and metal signs are perfect for large locations such as warehouses and facilities. 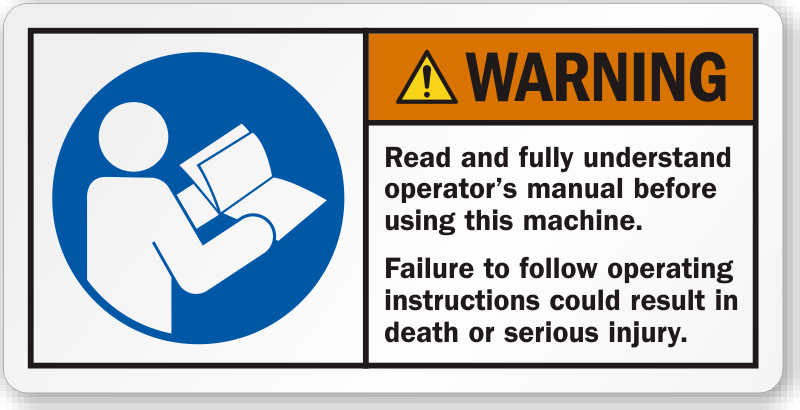 For smaller locations or direct application, select our labels with are offered in three different materials for your specific needs. 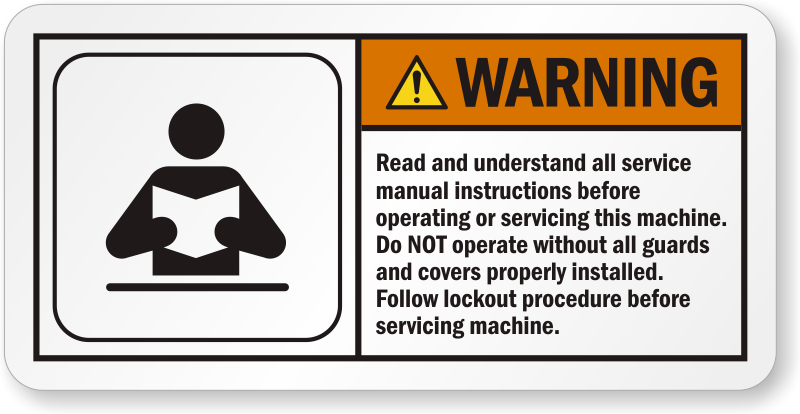 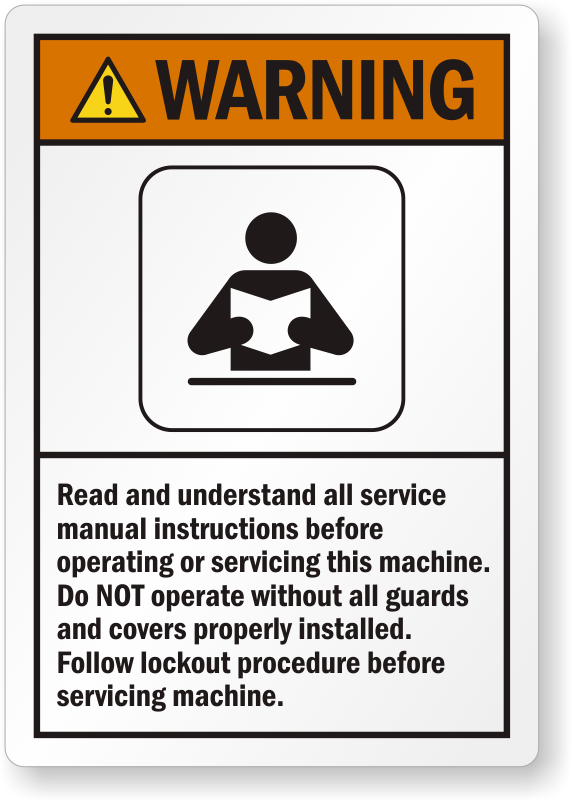 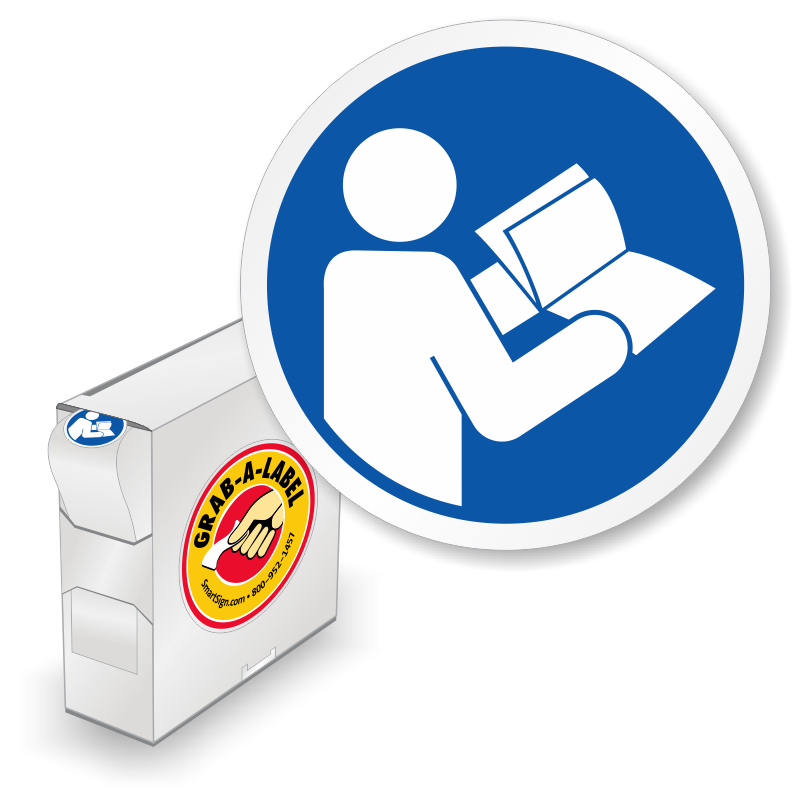 • Our labels and signs for manuals have the best graphics, with clear and bold text. 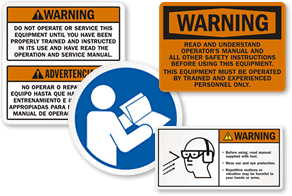 Our universally recognized symbols help communicate warnings, alerts, and hazards. 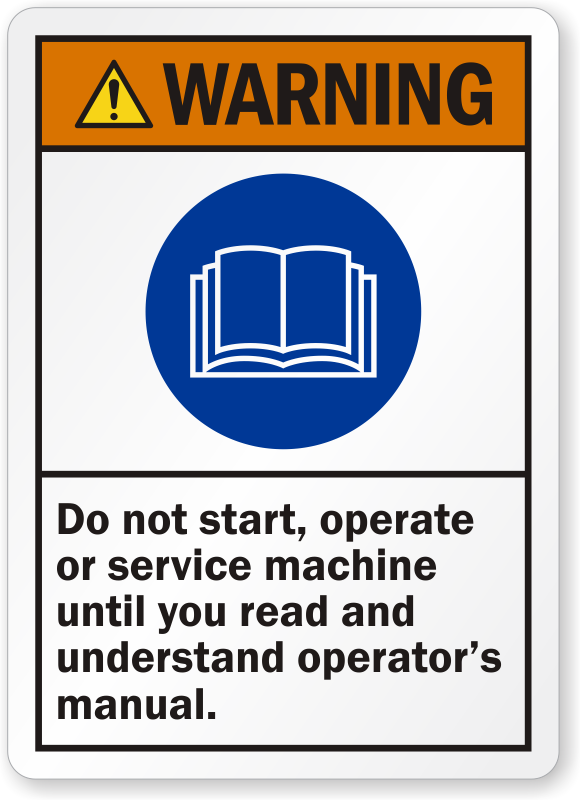 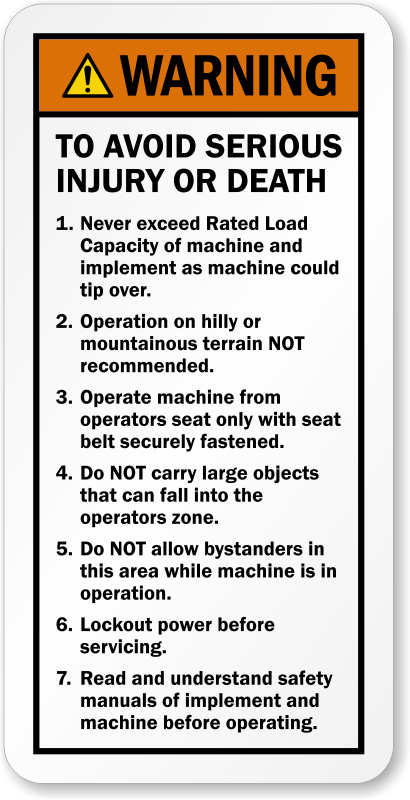 Inform your workers to read the operators’ manual carefully before beginning work to avoid accidents.